You can easily view your project structure and navigate your project files with Neotree. 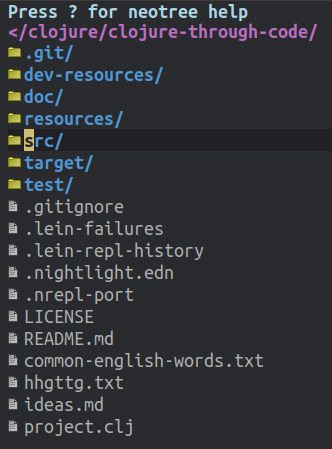 Show files and directories as a navigable tree in a buffer. Spacemacs uses a pop-up buffer to the left hand side of the frame to display neotree. Toggling open the neotree buffer will show the directory of the current buffer. Opening the neotree project root will show the directory list for the project that the current buffer is part of.